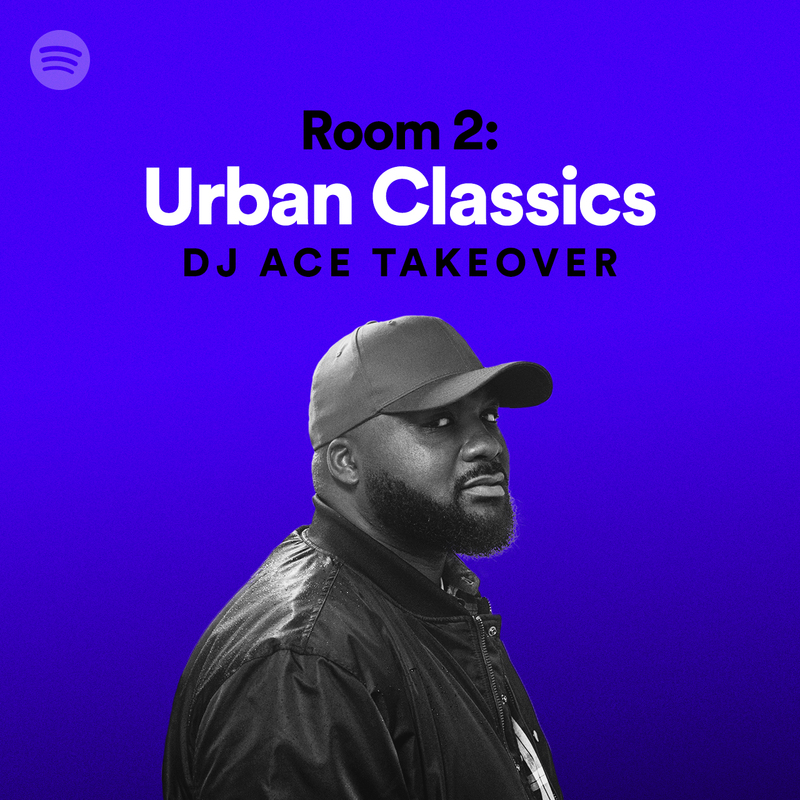 Paving the way for future DJs, RnB tastemaker and music connoisseur DJ Ace has landed a four-week takeover on popular Spotify playlist ‘Room 2: Urban Classics’. The BBC Radio 1Xtra DJ makes history as he becomes the first ever Spotify DJ/curator to complete a take-over on one of the streaming platforms playlists in the UK. Culminating over 120k followers, ‘Room 2’ is the home to all things ‘old school urban’ and provides that throwback feeling 24 hours a day, 7 days a week. Playing a prominent role in the UK music scene for over a decade, particularly the R&B scene, Ace has become an intrinsic cog in the development of the genre and his Spotify takeover pays testament to this as you are guaranteed to hear back to back bangers! Ace is set to takeover and ignite your speakers from Monday 14th August. Check out Ace’s very own ‘Room 2: Urban Classics’ below.